“It’s the Most Wonderful Time of the Year”…. It really is!!! 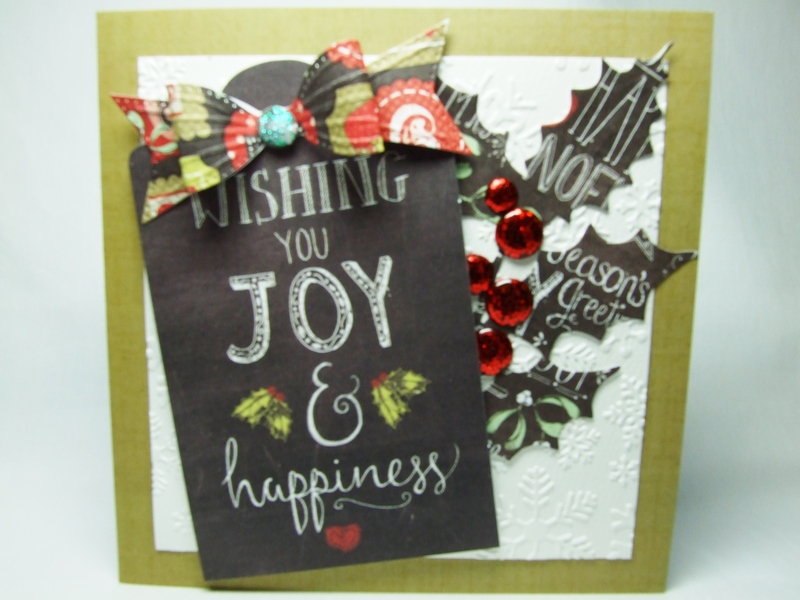 Today I’m sharing a few more Christmas cards. I know I have shared quite a few lately but that’s because I’ve got sooo many to make!!! 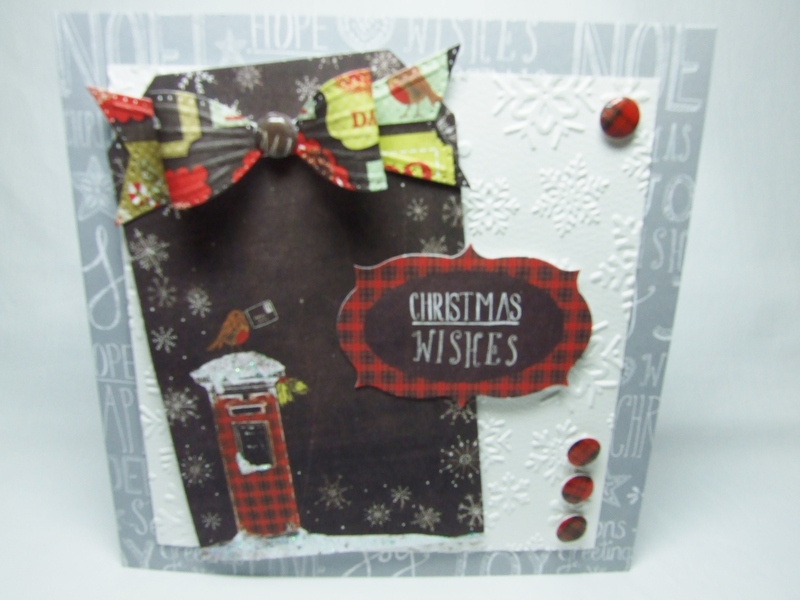 For these 3 that I have made here, I have used the Chalkboard Christmas collection by Craftwork Cards again. They were pretty quick to make with me just adding a few embellishments here and there and some sparkly Stickles! 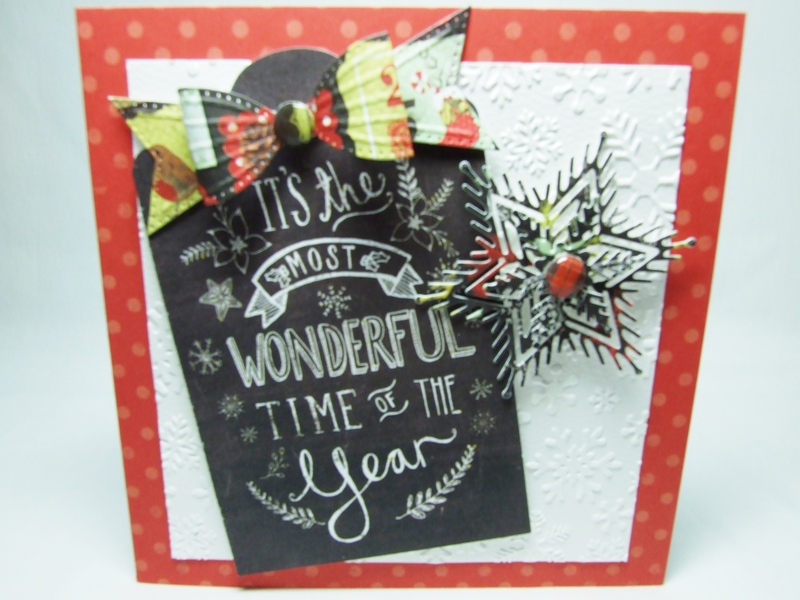 I have also used a Sue Wilson bow die, an Anna Griffin large holly die, snowflake dies from Waltzingmouse Stamps and an A4 snowflake embossing folder by X Cut. They are all the same sort of layout as I was trying to come up with a format whereby I could do some quick batch-making! The tags that are available in pads are great to use as toppers as I have done and for the sentiments. These would also look great on gifts. Next > Hamlet PigWit – Pig Out!!! Karen, you are really rocking the crimbo cards at the mo! these are ace! Send a bit of sunshine to me please, it’s been cloudy most of the day here, at least it’s dry though. Wonderful Christmas cards! Love the chalkboard technique and pretty bows! Love ALL of these chalkboard cards! They are beautiful!